Proud to be the first certified KonMari method consultant based in San Diego, providing sessions in San Francisco, Santa Monica and Orange County. From San Francisco to San Diego, we've helped families, couples, and individuals de-clutter living and storage spaces. 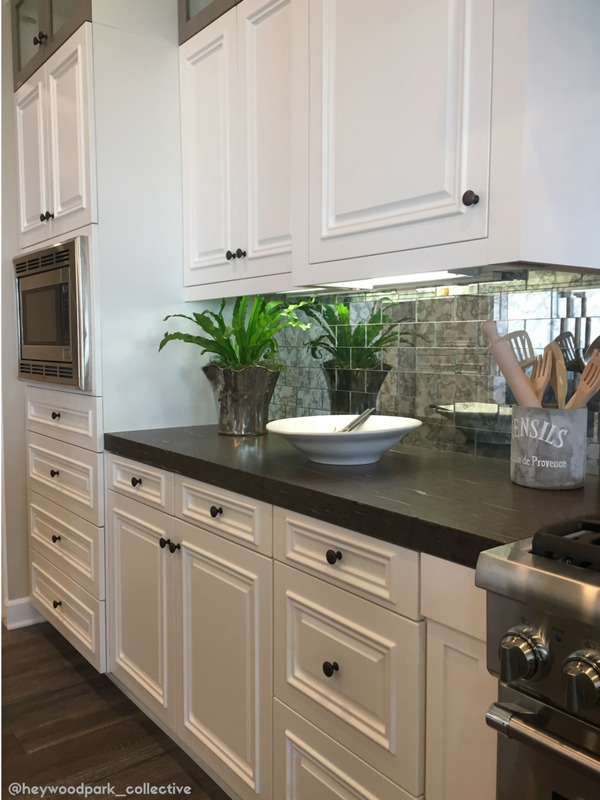 Each project has the same starting point - a lifestyle vision. Be bold. We see our work as helping you "tidy up" to create your most joyful ideal to live the life you envision. Less clutter = more life! We individually guide the decluttering process and facilitate uncovering your joyful appreciation for what to keep. Approaching by category - clothes, books, papers, miscellaneous items, kitchen, keepsakes (in that order) you reconnect with and choose what stays. It's the debut of a fresh outlook to stay organized, less stress, to start everyday with a confidence and purpose based on...joy. Heirlooms are preserved properly; the question to "sell, donate, or discard" items no longer "sparking joy" is solved. See the transformation after only one session! Bespoke: an organized home that says "you"
Custom heirloom preservation and archival services. By gathering clothing into one pile, before sorting, the sheer amount is impressive and informs decisions. This technique clears the closets, and other storage areas, so you get a fresh start at creating your ideal. 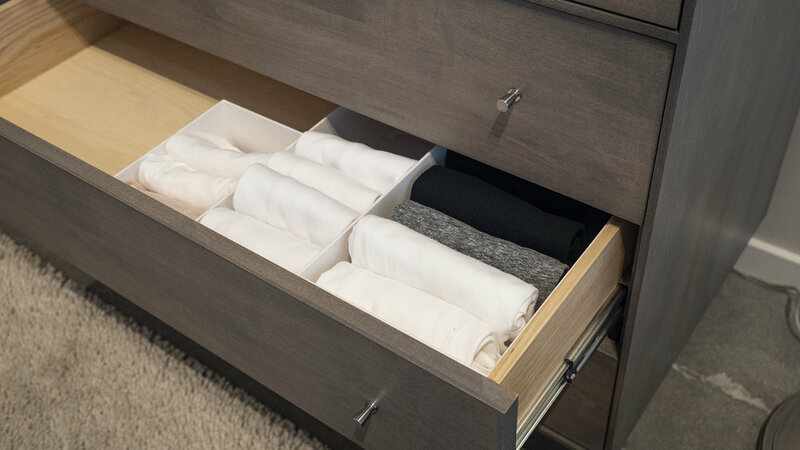 Give your clothes breathing room = calm closet and life! Acknowledging clothing that creates positive feelings comes about by handling each piece during the sorting process, finding what "sparks joy". What you choose to keep, should be kept well. Heirlooms, family and vintage photos, wedding dresses, baptismal clothing, invitations, printed programs...and more. Our garages, storage units and attics are full of plastic bins, old shoe boxes, old folders, some passed down from generations, of "life moments" on paper. An old camera, a silk top hat, a cherished handbag. 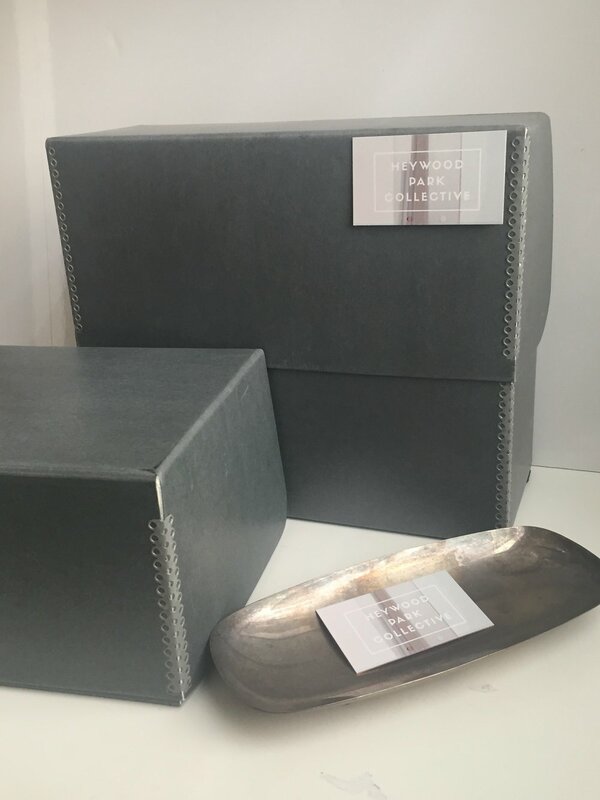 Working together with Heywood Park Collective, a family archive will be created, precious belongings, chosen and curated to remain in your family archives. Creating a family archive, using museum quality materials and processes, allows family members to immediately source photos, documents, letters, and other memoribilia. Housing it in this manner makes it easy on the eye and easy to maintain! This is a photo of the Fidler Family Archives - which includes items from well over a hundred years ago. Another advantage of storing analog artifacts is the ability to retrieve and take in case of a life threatening disaster, such as fires, earthquakes or floods! If you are feeling overwhelmed by sentimental clutter - and are inspired to honor these treasures - contact Heywood Park Collective for a session! a partner along side - as we take the journey of "tidying up"
Ready to collaborate and clear your clutter?